The president and first lady gave a speech in Atlanta, Georgia on the opioid crisis, an epidemic which causes tens of thousands of opioid deaths every year, including over 72,000 in 2017 alone. US President Donald Trump will make a three-day state visit to the UK from 3 to 5 June, Buckingham Palace has announced. The president and First Lady Melania Trump will be guests of the Queen and attend a ceremony in Portsmouth to commemorate the 75-year anniversary of the D-Day landings. As the US president addressed attendees before the festival surrounded by the First Lady and the Easter Bunny, social media users marveled at the spectacle and rushed to share their comments on the internet. 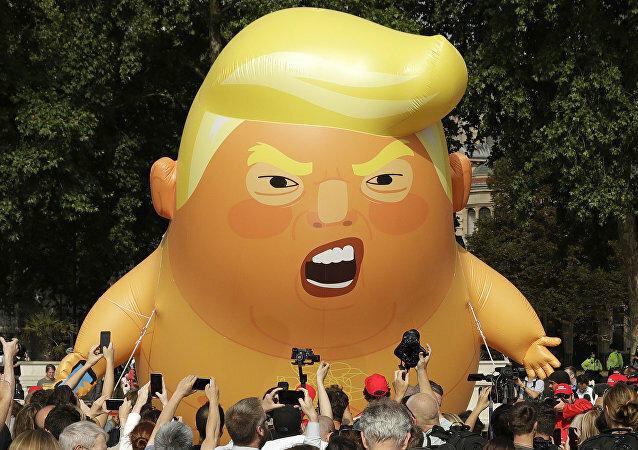 Donald Trump's two-day working visit to the UK last July was accompanied by massive protests in real live and on social media alike. Today, it's virtually just the same as before. A spokeswoman for the first lady insisted that what Melania does is "much more important than some superficial photo shoot and cover", and bashed the alleged bias of the fashion magazine industry. The US president made the comments during his Egyptian counterpart Abdel Fattah al-Sisi’s recent visit to the White House, where the two focused on bilateral security and trade. Caracas has accused Washington and its allies of supporting a coup plot against the Latin American country after the US moved to recognise opposition figure Juan Guaido as Venezuela's self-proclaimed 'interim president'. This is not the first time that this quote has been falsely attributed to the American luxury fashion designer: back in 2016, a Twitter user posted a doctored Daily Mail headline with the same claim. In her new tell-all book, “Kushner, Inc. Greed. Ambition. Corruption. The Extraordinary Story of Jared Kushner and Ivanka Trump”, Vanity Fair journalist Vicky Ward looks into the personal and business lives of “Javanka” – the US first daughter and her husband, a senior advisor to President Donald Trump. Many users view the fact that the president appears so sensitive about media speculations about who is actually accompanying him on his visits around the country as evidence it might not really be FLOTUS Melania after all. Netizens have been mulling for some time over whether the US First Lady has been replacing herself with a double at public events, suggesting that she doesn't enjoy accompanying Donald Trump. Two years ago, many people began theorising that First Lady of the United States Melania Trump was using a body double for some of her public duties, and the Twitter speculation has returned to the spotlight over the weekend. The belief that Australia was “a blokey culture” was apparently prevalent as the FLOTUS reminded Julie Bishop of attending a partners’ lunch at the UN, fuelling a variety of responses online. 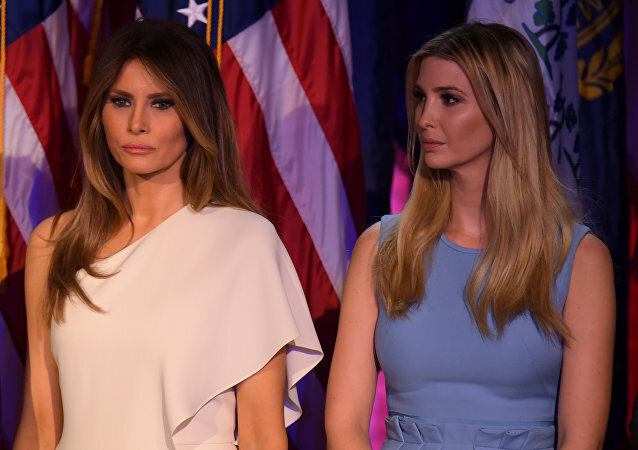 Speculations about the alleged stand-in wife have been emerging here and there since 2017; it all started with a CNN clip in which the first lady was standing alongside Donald Trump during a press event. Czech Republic leader Andrej Babis became the country's first prime minister in eight years to visit the White House, and his talks with US President Trump were preceded by yet another Trump gaffe. Donald Trump regularly blasts the US mainstream media as "fake news" for what he sees as biased coverage of his presidency. His wife Melania also comes under fire from time to time for what she says is "unimportant stuff", such as her perceived far-fetched fashion choices or conflicting comments on the #MeToo movement. From the Russia investigation to hush payments to a mistress, Donald Trump's embattled ex-lawyer Michael Cohen's testimony to Congress touched upon a wide range of controversies. On Saturday, the 39th Golden Raspberry Awards announced the “winners” for the worst films and performances that the industry had to offer in 2018, including two on-screen appearances by none other than Donald Trump. In keeping with her work as the first lady, Melania Trump visited Nicklaus Children's Hospital in Miami this week for the unveiling of a new healing garden and intensive care unit. The FLOTUS’ surprise appearance was meant to introduce President Trump’s speech during his recent Miami rally, but ultimately earned even more applause and drew a greater amount of criticism than the president’s due to the infinitely emotional comparisons she made.